The first part of this post was about how relationships can help you heal and and awaken to your true Self, both with a cooperative partner and with an uncooperative partner. This post is about how you can continue to heal and awaken without a romantic partner at all. All of these paths are challenging in their own way. The biggest obstacle when you have a partner is making the error that you need the other person to change first. The biggest obstacle when you do not have a partner is thinking that you first and foremost need to find a partner. And the problem with making this error is that you will put so much energy into searching for that partner, and spend so much time feeling the lack of that partner. Feeling lonely and sad, feeling that you can’t do many of the activities that you could enjoy with a partner but not alone. Going to performances, the movies, restaurants, travel, cooking a nice meal at home. How many of these are things you would enjoy with a partner, but can’t enjoy alone? Does this sound like a fun way to live? No, so you double down on finding someone, getting stuck in a vicious cycle. And we just assume that this is the way it has to be. Yes, we are told you have to love yourself first, but that can feel like meaningless words. How can I possibly feel that way when I am hurting and alone? Isn’t it obvious that I need a partner first? And it doesn’t really work if you are just trying to do it so that then you find that partner! We get that message strongly from society that there is someone for everyone, and if you haven’t found that person there is something wrong with you. 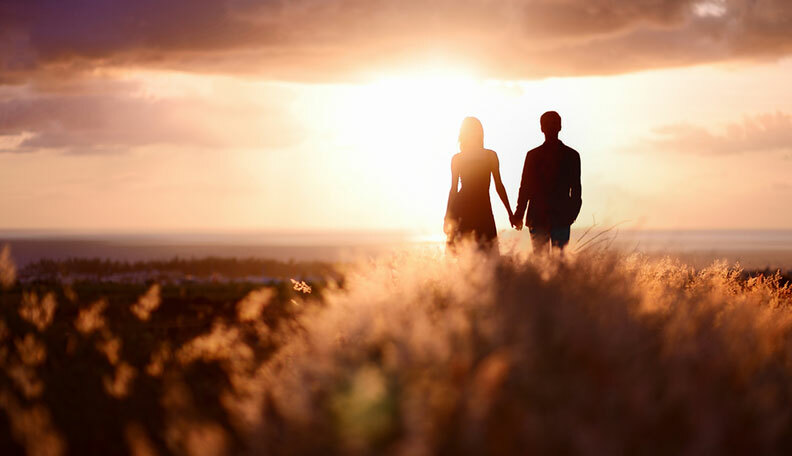 You need a successful romantic life to be complete and fulfilled. This message is sent to us subtly and not so subtly all the time. It is a hard message to resist, especially when you are feeling alone. To overcome this vicious trap takes a complete 180 degree turn around. To make this turn, you have to remind yourself of who you really are and the real truth of the universe. You are a ray of God’s light. You are connected to God and to all others at all times. In God there is no lack, so the perception of lack must be an illusion. Remembering this truth is not something that takes effort, but it does take a turn of mind that allows this truth rather than resisting it. Here is a great exercise from Jesuha in the Way of Mastery (for more on the Way of Mastery coming soon). “Stand and take your arms outstretched with palms turned heavenward. Think about your own heart for just a moment, and simply ask to feel and know the Reality of Love’s presence. Breathe it into your heart. Open the cells of the body, open the mind and simply receive what is available. And the next step is to commit to being a channel for God’s love in this world. This means that you are making the commitment to allow this love to flow through you. Not always easy, right? Yes, it takes practice. Begin today by paying attention to the ways in which you may be withholding your love. Did you smile at the Walmart cashier? Did you reach out to someone from whom you had been withholding forgiveness? Did you take the time to feel gratitude for the sunshine or the rain? And perhaps in this inner journey you will find places of hardness, places of unhealed wounds, places where you can extend love, forgiveness and understanding to yourself and others. This is the practice which allows love to flow into your life, not from a significant other, but from the entire universe. And of course, I am as always available to help with the parts of the healing journey that are most scary. Sometimes meeting with a therapist can help move through the hardest parts. And whenever two or more meet to embrace the world, Jeshua is there, so we have that going for us!